If you love to build things, whether it’s cabinets or furniture, you want to have a dedicated space where you can practice your craft. You might have a small workshop in the basement or the garage, but these spaces often don’t have enough room for you to do everything you want. With a new custom garage from Better Built Barns, you can set up your workbench, hang your tools, and have everything else you need to work comfortably. If you’re ready to get started, contact us today! If you’re a woodworker, then you know how important your tools are. You need saws, drills, and other tools to get the job done, and many of those tools need power. If you want dedicated outlets for your table saw, your planer, and other tools, we can make sure they are included in your new garage plans. If you don’t currently have the space for large tools, a custom building can be a great option, since you won’t have to worry about squeezing everything into your current garage and moving it out of the way when you want to park the car inside. Many people, when they retire from their career after 30 or 40 years, start a business out of their home. The business could be based on a hobby they’ve had for decades, or it could be something new that they recently learned they loved to do. Whatever the case may be, having a dedicated building means that you won’t have to take over a spare bedroom or rearrange your garage to start your new business. You can even have a sign printed for the outside of the building to let people know where to find you! At Better Built Barns, we have a number of great options from which to choose. Depending on your needs and what you want to have inside your new building, we can help you customize the floor, the door, the windows, and much more. If you need a loft for lumber storage, or you want the workbench to be built into the wall, we’ll incorporate those details into your plan. We can build an interior partition wall, should you want to store things in a different spot from the main work area. If you need an overhead door so that you can move large projects in and out of the building, we’ll make sure it’s in the perfect spot! 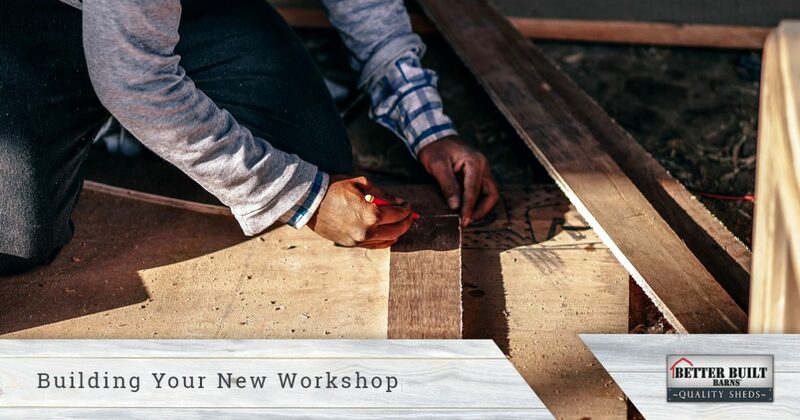 If you’ve been thinking about a new workshop, look through our Gallery today. We can help you find the perfect option, and once you’ve made your decision and the project site has been prepared, we’ll get to work on installing your new building. Our team will be available to answer all of your questions before, during, and after installation. 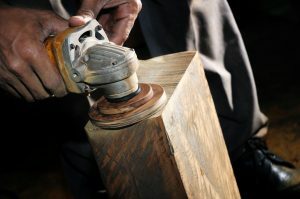 If you want to know more about our process, visit our FAQ/Installation page for more information. Contact us today to get started on your new custom garage or workshop!